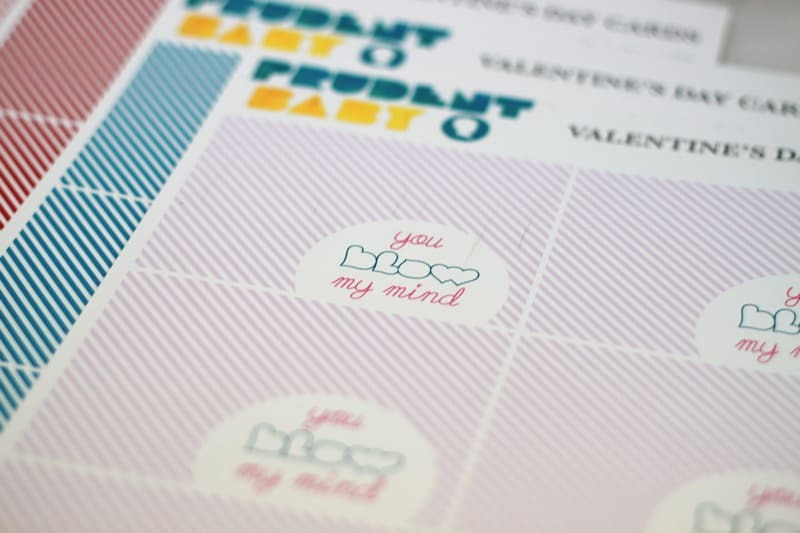 Here’s four totally fresh Valentine’s Day card ideas that are super sweet, yet candy free. 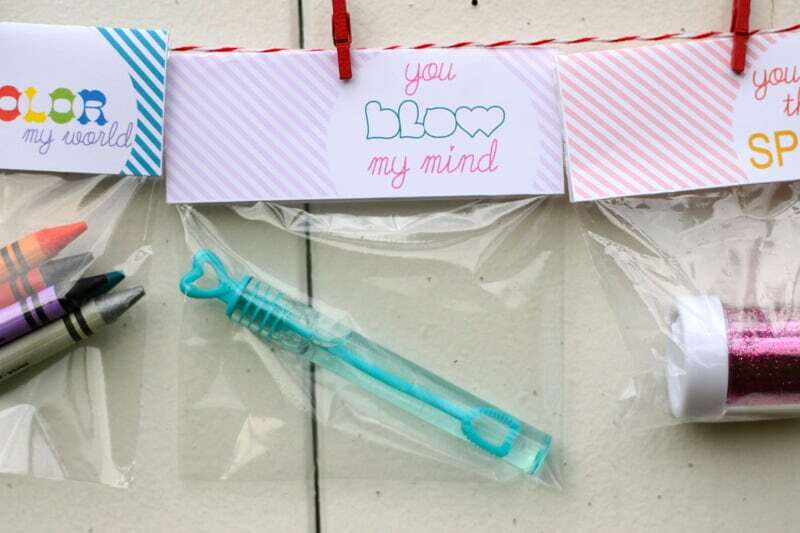 All you need to make these easy valentine’s cards and pack them up for school parties are some 4″ cello bags, glue dots, and our free printables. Print out on white 8.5″X11″ cardstock (make sure you aren’t set to “shrink to fit” or anything, just let ’em print as is), and cut out. Fold in half, and secure over the folded top of your stuffed treat bag with a glue dot on each corner. I love these! I like it when there are alternatives to sweets on the holidays. 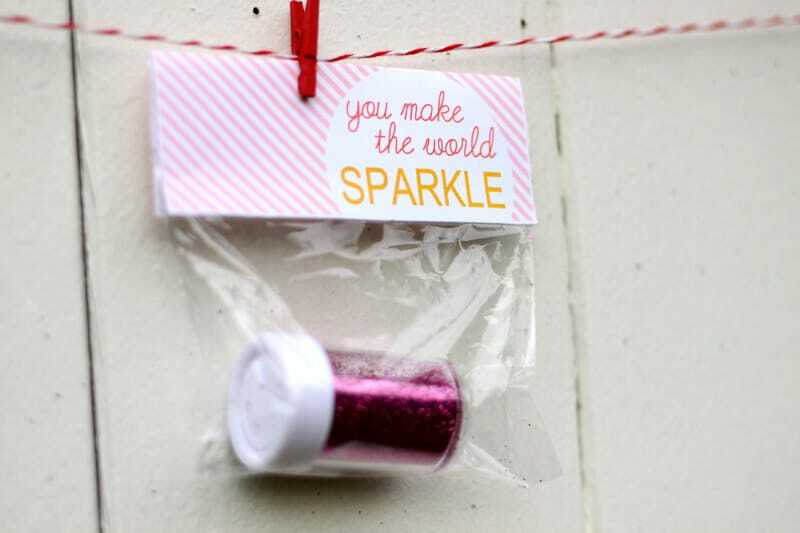 Plus, when kids get a stack of Valentine’s these will really stick out once all the candy is gone. Thanks! 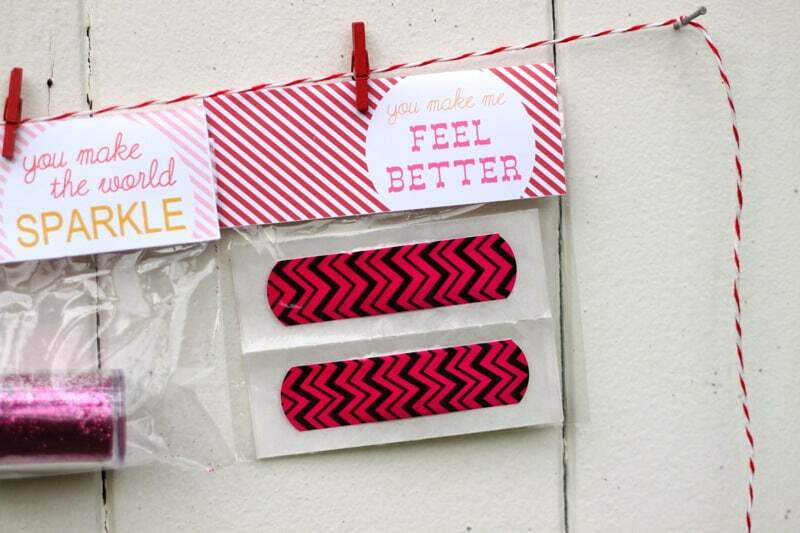 Where did you get such awesome bandaids? 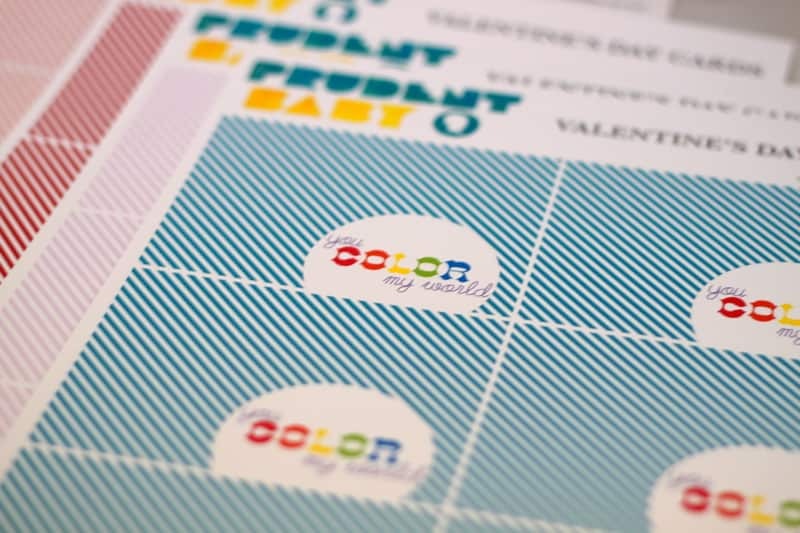 I am making heart shaped crayons for my son’s preschool class so the “Color My World” printable is PERFECT. Thank you so much! Melt old crayons in a heart shaped pan. You can use silicone molds if you melt in a can inside a pot with a bit of water then pour. This is exactly what I thought if. 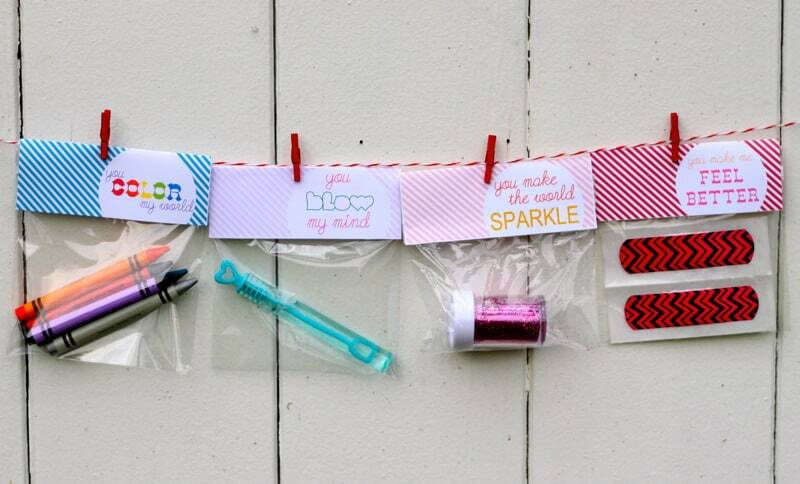 These are so creative and cute. I’m going to save these for when my little one hits school, perfect non-candy treats! 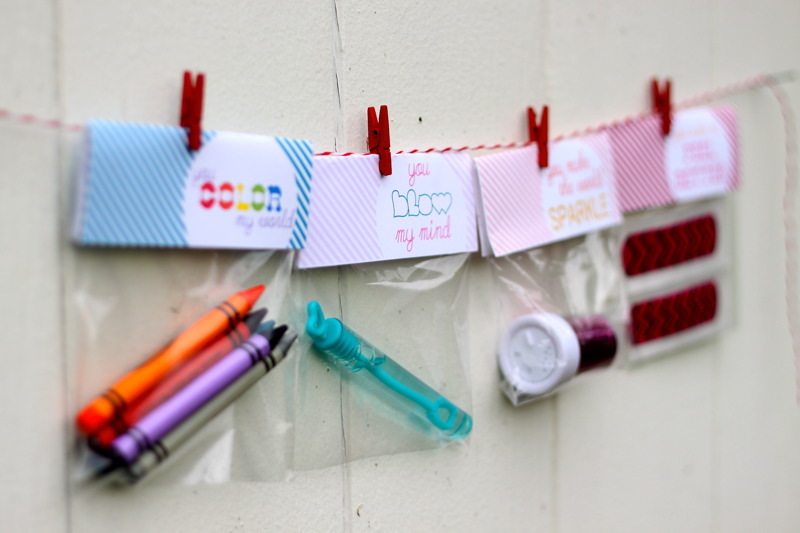 What a great idea, -except- we didn’t have anything but a basket full of broken crayons. Light bulb! We took what we had and put the broken up crayons into cupcake tins and melted them in the oven at 275 degrees farignhit for about 10 minutes. 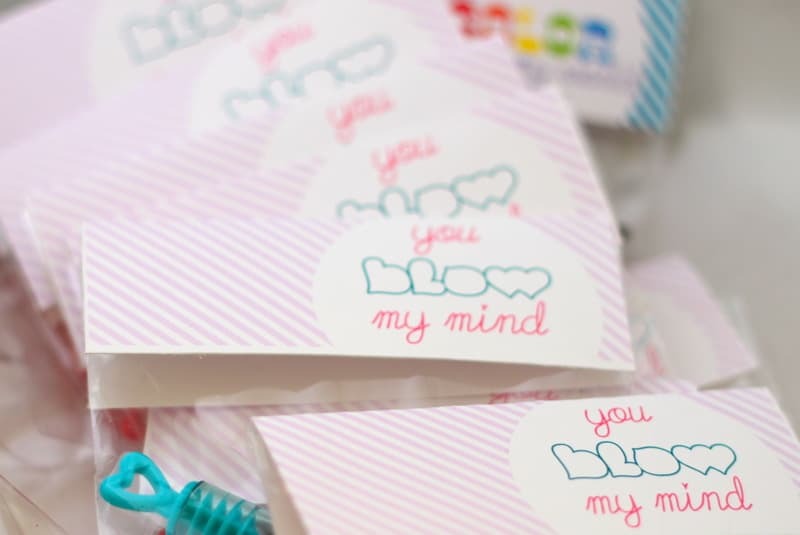 Cooled and used your fabulous tags for a candy free Valentines exchange. My favorite tags were…All of them! Great job & thanks for sharing your talent. 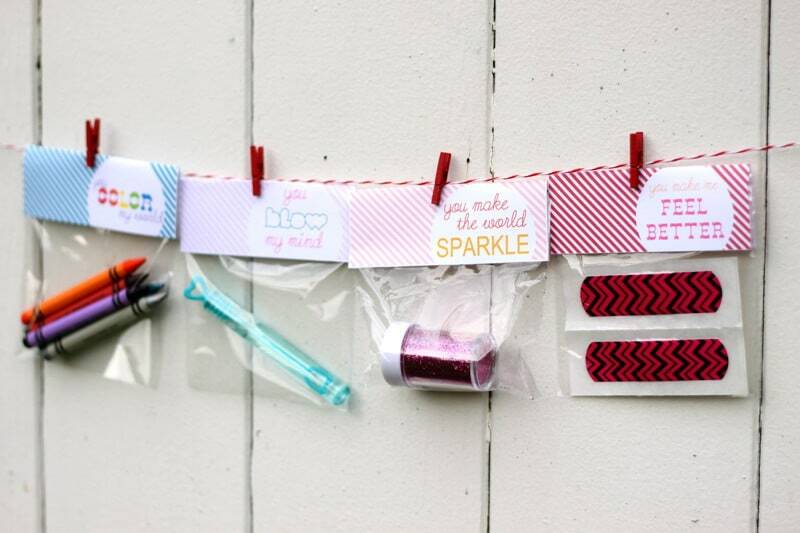 Thanks for the ideas and free printables!! 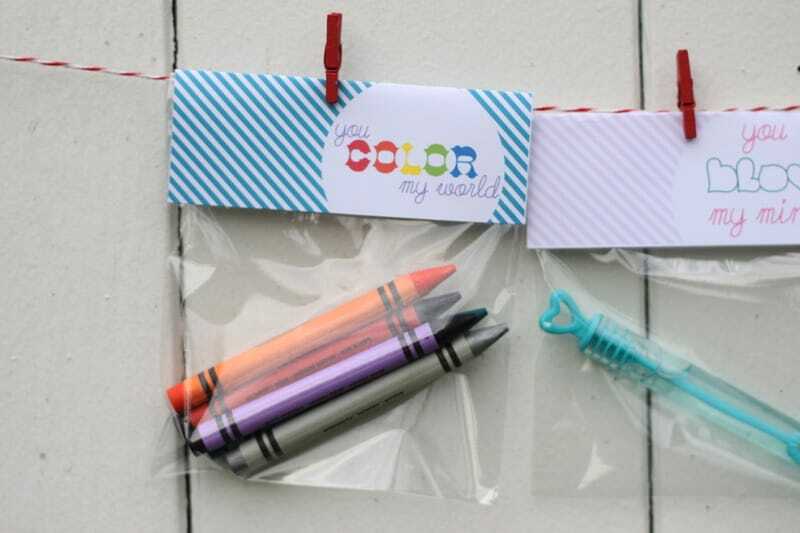 I used them to make bags for my daughter’s class (2-3 year olds). I also printed tiny Valentine related pictures for them to color on. For the teachers I bought colored pens and a small notebook. Thanks again!!! awesome, that sounds so cute! Where do you get that red and white twine? I think you use a blue and white version of that in Quinn’s birthday for the balloon and the banner on her cake. I’m planning a birthday soon and wanted to use that twine. Thank you! looking forward to see more great stuff! 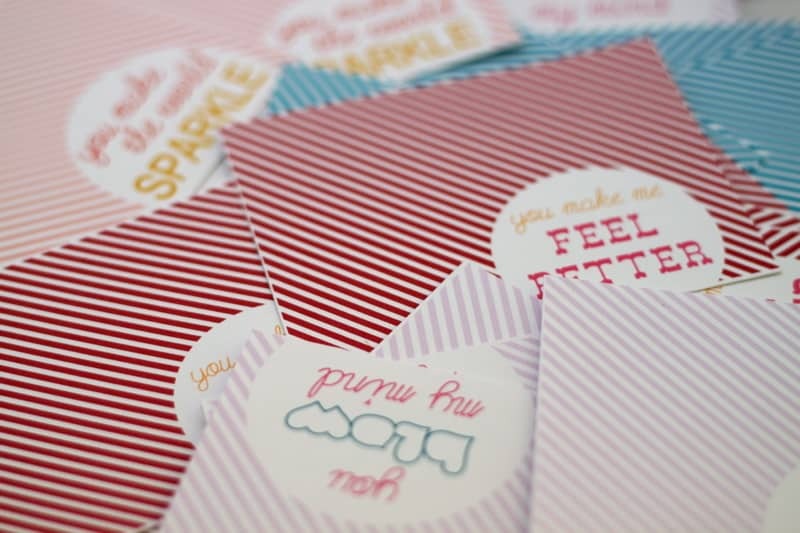 Thanks so much for sharing the printables! I used two of them!